Сегодня его забронировали не менее 3 человек. Есть вопрос для Lilu Chiangmai Hotel? Построенный в 2012, Lilu Chiangmai Hotel является отличной отправной точкой в Чиангмай и разумным выбором для путешественников. Отсюда, гости могут всецело ощутить преимущество удачного расположения и близости ко всему, что может предложить оживленный город своим туристам. Для тех из вас, кто не хочет проводить все свое время сидя в номере, Природный парк Elephant, Wat Chai Mong Khon, Ланна Кам Спа лишь некоторые из достопримечательностей, доступных для туристов. В Lilu Chiangmai Hotel, делается все возможное, чтобы гости чувствовали себя комфортно. Безупречное обслуживание и превосходные удобства являются основными принципами в работе отеля. Подборка первоклассных услуг, таких как, бесплатный Wi-Fi в номерах, хранение багажа, Wi-Fi на территории, парковка, ресторан, которыми вы можете воспользоваться во время вашего пребывания в отеле. Гости могут выбрать из 18 номеров, в каждом из которых, вы будете чувствовать себя как дома, в окружении уютной атмосферы. Помимо широкого выбора услуг для отдыха, предлагаемых в отеле, у вас останется много возможностей развлечься не выходя из отеля. Получите удовольствие от первоклассного обслуживания и широкого выбора услуг в Lilu Chiangmai Hotel. 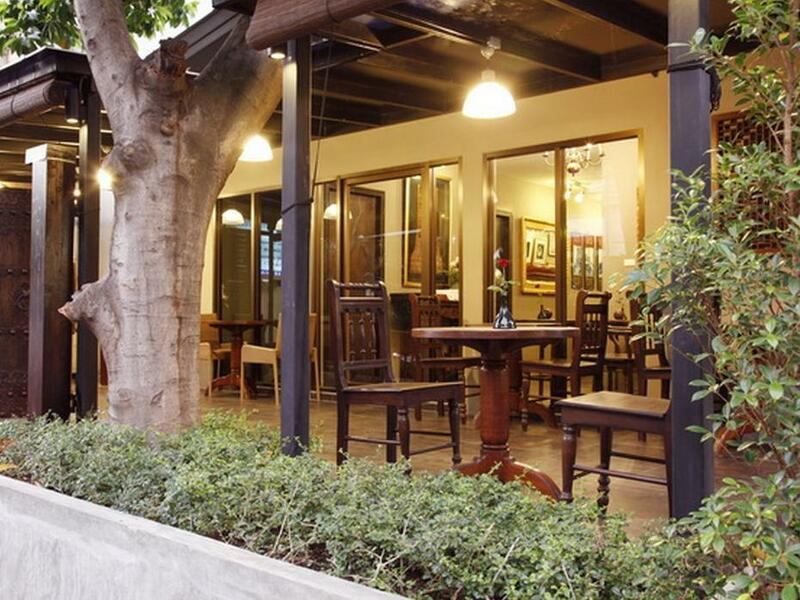 Placed right at the side of the road, this piquant hotel is convenient to many major tourist spots. One can walk around the quieter quarter of Chiang Mai from here. Staff service is excellent. With English and Chinese Mandarin at disposal, there isn't much trouble getting friendly assistance with sweet smiles. Property staff were very helpful and friendly when we arrived. My wife found the property on Agoda and we walked up off the street, the manager greeted us warmly and was happy to show us the available rooms. Property location is very convenient to night bazaar. Easy walk to shopping and easy access to taxi or tuk tuk to visit other sites and attractions. Good breakfast provided with my stay. I would book here again next time I visit Chiang Mai. Whilst Lilu is my go too hotel when visiting Chiang Mai, I found my car wheel clamped in the morning, as the road outside the hotel is a clearway from 6am to 9am during peak traffic time and poorly signed. Perhaps the hotel could advise guests. The location of hotel is good. Walking distance to temples, shopping area and eateries. Room is a bit noisy, we could hear traffic and clearing of breakfast plates in the morning as our room is just behind the cafe. Other than that, for the price we paid it was worth the value. The receptionist, Ms Pat is extremely helpful and service oriented. Even we only stayed for 1 night, She went extra miles in helping us find a transport to our next resort situated up in the mountain at late evening where not many drivers willing to take up the job. She called them and negotiated the price for us, making sure we were not charged extra. We really appreciated her assistance and helpfulness as we can't speak Thai. Thank you once again Pat. Yeah Room is small as you see pics but think of how much you pay for the room. Less 20 bucks. That’s a good value. Very close to Night Bazzar (night market), you can rent a motor cycle so anywhere can be reached. Room is very clean and tidy! I enjoyed staying at this hotel a lot! Service counter not friendly.. 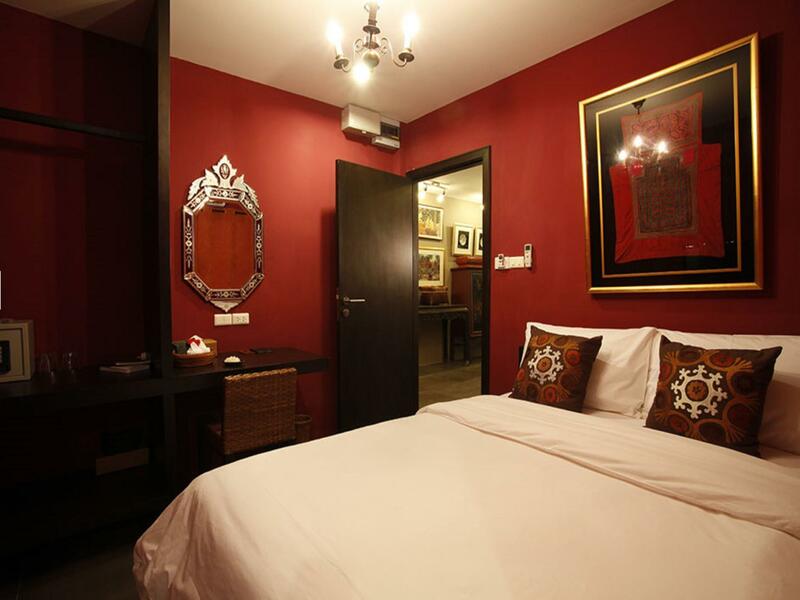 Although we reserved superior style room, at our arrival, we were told that they have just standard type rooms. Last day check out 6am and they willing to provide us Breakfast. Overall we didn't enjoy it as they put us at an annex building on 2nd and 3rd floor w no lift so you need to lug your luggage up the stairs. If you're in the room nearest to the main road, the traffic noise will be a challenge. The rooms are pleasant but old with air-con being quite noisy. However, if you take the rooms nearest to the check-in office, those are newer and enclosed so it's much much better. Room was small. Very clean but furniture a bit worn. Reception staffs friendly but command of English was poor. I was in a car, there are only two parking spots both were occupied by staff when I arrived but reception did arrange for one car to be moved in order to accommodate my vehicle, Yes I would stay here again very good value for money. I got it for a really good price and didn't expect much. Albeit rooms are a bit small they're really cosy and neat. I wouldn't spend a week there but for a night or two is just perfect. Hotel is also nicely decorated with stylish furniture and felt cosy. Big surprise was breakfast which was rich with selection of food. Overall I would strongly recommend this hotel. I was extremely impressed by the professionalism, efficiency, helpfulness and hospitality demonstrated by all of the very talented Staff at Hotel Lilu. I have never stayed at a hotel where I felt more welcome, secure and cared for. All Staff here are A+++!!! Before check-in, we did contact you for amending our booking because one of my friend was so sick to fly. We booked 2 rooms and just wanted to amend 1 room. We accepted to lose flights ( more than 230USD ) and just hope that you can help us modify 1 room to weekday next month. But all of my attempts were nothing. I came to Thailand for at least 5 times and from now and then, I don't think I will come back. You are property, you can amend everything without Agoda. And in fact, we prepaid money, and eventually you treated us like dirt. Were are not happy at all. It was one of the worst experience we met. Didn't try the breakfast, as my family and I ate at the delicious Butter is Better diner nearby, but everything else about this quaint little place was awesome. Nice stuff helpful. Nice breakfast. Nice rooms needs some works and more cleaning! Expensive for this room maybe because of December season.